Today I’m delighted to introduce you to a new member of our staff, Ben Sciacca. Ben is our Director of Leadership Development and joins our coaching team in helping leaders survive and thrive. He comes with a wealth of experience, wisdom, and skills–one being that he is a published author! I hope you enjoy his blog. 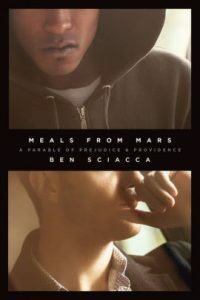 Then you might want to check out Ben’s book, Meals from Mars: A Parable of Prejudice and Providence. It’s a compelling read, food for reflection, and conversation starter. Includes discussion questions great for small groups and families. We live in confusing and painful times. The daily news is rife with natural, political, and even personal disasters that can leave you perplexed and even discouraged. At times you want to help but don’t know where to begin. Other times the circumstances can create a sense of paralysis or numbness. Jesus’s primary motivation for ministering to Mary and Martha and their family is that He loves them (verses 3, 5, and 36). Prior to Lazarus’s death, Jesus and His disciples are safely out of town. Lazarus’s hometown of Bethany is close to Jerusalem – a place where Jesus and His disciples are in constant danger. His disciples warn Him that going to Bethany could be a suicide mission for all of them. But because He loves Lazarus and His sisters, Jesus is willing to put His life on the line in order to restore life to Lazarus and the village of Bethany. Christ’s primary motivation for coming to earth is His love for all of us (John 3:16). His primary reason for coming to a risky place like Bethany is the same thing – love! As stated earlier, Jesus has the power to resurrect Lazarus. He can do this immediately. But He takes another important step. He pauses to listen to Lazarus’s sisters and to the overall pain of the village. In two separate encounters with both Martha and Mary, He allows these women to emotionally (and perhaps even angrily) challenge why He didn’t come earlier to heal Lazarus before he died (verses 22-22 and 32). Despite Jesus’ mission to bring resurrection, He took time to hear the grieving sisters and affirm their dignity. Before providing solutions, He took time to sponge their sorrow. This is challenging – but when entering into space with anyone who is grieving or hurting, is your first reaction to respond with assistance, or is it to take time to listen? In Jesus’s case, Mary and Martha falsely accuse Him of being partially responsible for Lazarus’s death. How do you respond when you encounter anger or even accusation that you are part of the problem? Do you take time to listen and consider what the grieving person or community has to say before you react or respond? Sometimes prayer for patience is the great pathway for emulating the example our Savior models for us. When Jesus witnesses the angst of the sisters and of Bethany, He is moved to lament. The story tells us that Jesus weeps (verse 35). This is remarkable. He knows that everyone in Bethany is about to witness a miracle that will ring through the annals of history, but He still takes time to cry alongside those who are grieving. Co-suffering and lamentation might be one of the greatest indicators that are connected with those who are hurting. In John 11, Jesus is angry at death and the agony it has caused. He is moved to tears that it exists and that it hurts so deeply the world that He loves. Finally, Jesus moves to direct action and calls Lazarus forth from the tomb. A man who has laid dead in a tomb for four days is brought back to life. Jesus conquers death, sorrow, pain, and disillusionment in one amazing act. Not only does He restore a brother to His sisters, but He brings life to an entire community. The ripples of this miracle spread far and wide, and draw many people to believe in Him. The desire of anyone who enters into communities or even relationships with broken or marginalized people is to see life, hope, and peace restored. We seek to do this in different ways: through prayer, financial giving, and even being physically present with those who are hurting. Often the immediate reaction is to jump into helping and assisting. Yet it is worth stopping for a moment to investigate our motives (our love), to pause and affirm dignity to those who are hurting (through listening and lamenting) before we leaping into being agents of life. Thankfully we have a Savior who modeled this with excellence. By His grace and power, He calls and equips all of His followers to do the same.